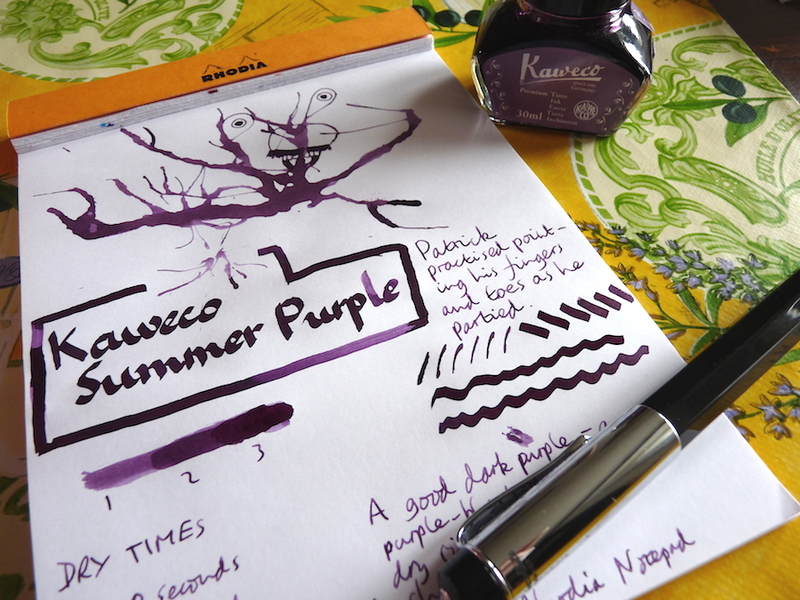 Kaweco Summer Purple ink review – Pens! Paper! Pencils! 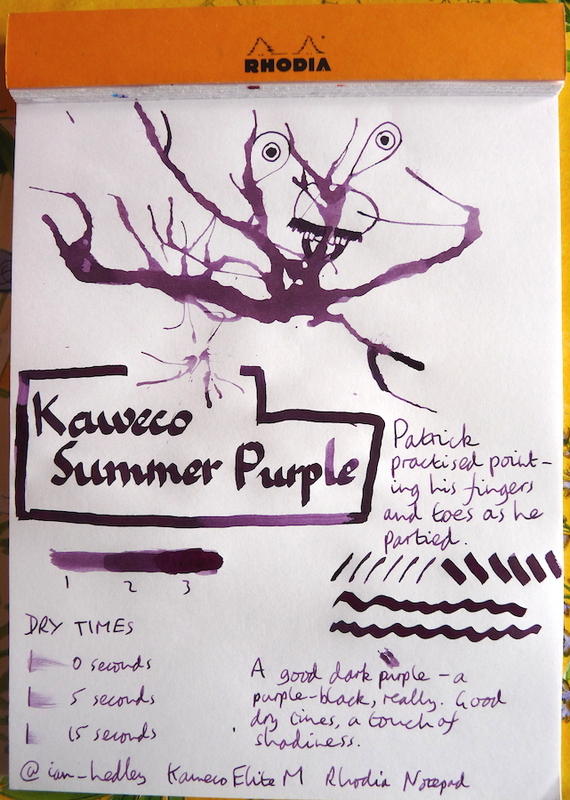 Kaweco Summer Purple is a kind of purple-black colour. It has some nice shading, good quick dry times and flows well. Here I am doodling the Inkling. Actually it’s more about me trying to work out what to do, it was a tough one. This ink was sent to me for free by Kaweco, for which I think them.